I've been painstakingly trawling back through my journals, looking at every plant list ever written. I've been poking in the back of the kitchen drawers hoping to unearth a plant label with a pretty pink picture on the front. I've had no luck what-so-ever. Having tipped out every drawer in just about every house room, I decided to check online. Yippee - success! 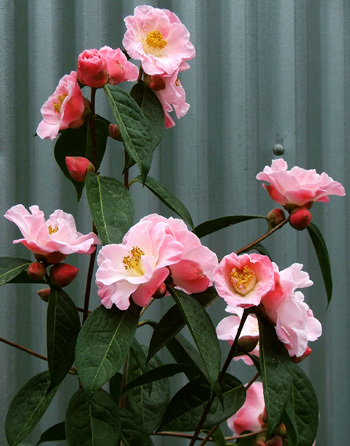 I found (or so I thought) an image of the most beautiful Camellia in the whole gardening world - in a local nursery's online catalogue. I often shop there in the sales. I quickly convinced myself that I recognised the name - of course! Is That You, Fairy Blush? I politely introduced myself. 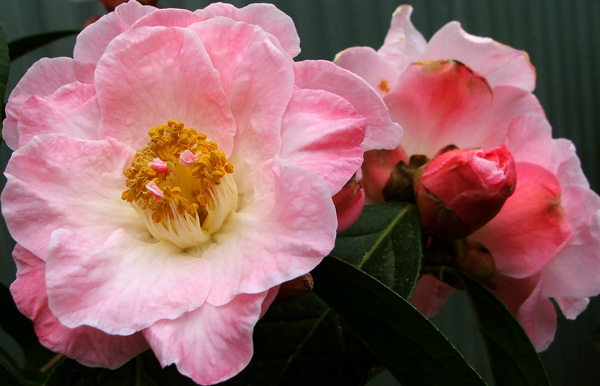 Hello, Fairy Blush, beautiful New Zealand raised hybrid of Camellia lutchuensis - hello and welcome to the back of the Dog Kennel Garden. But wait a minute - all the Google entries talked of miniature flowers. Oops. 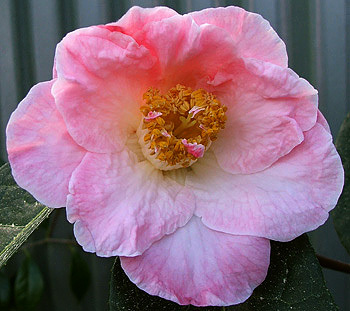 And my potential Fairy Blush has super-sized single flowers the size of latte bowls. Aargh! Back to square one.